With a strong hold on our history and heritage, we’re equally dedicated to handcrafting comfortable, stylish shoes that are relevant today. What we believe is a testament to our hardwork, we’re proud to see our shoes appear in the press, chosen by fashion bloggers and on celebrities. 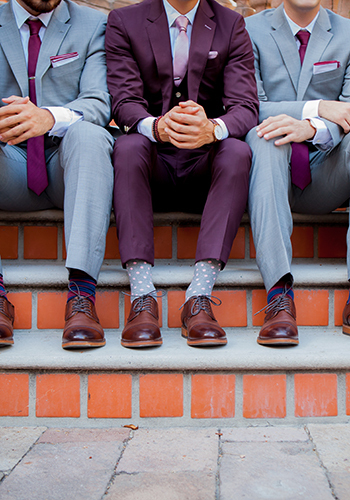 Below are a few of our favorite Florsheim sightings. 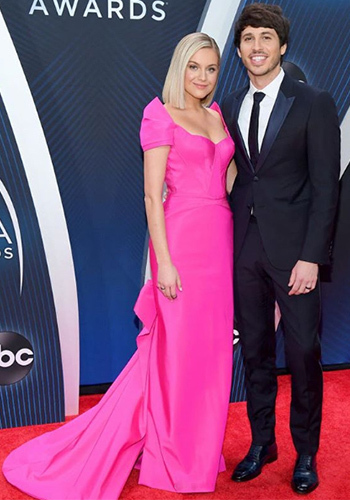 November 2018: Country music stars Kelsea Ballerini and Morgan Evans rock the CMA Awards red carpet in Nashville, TN. 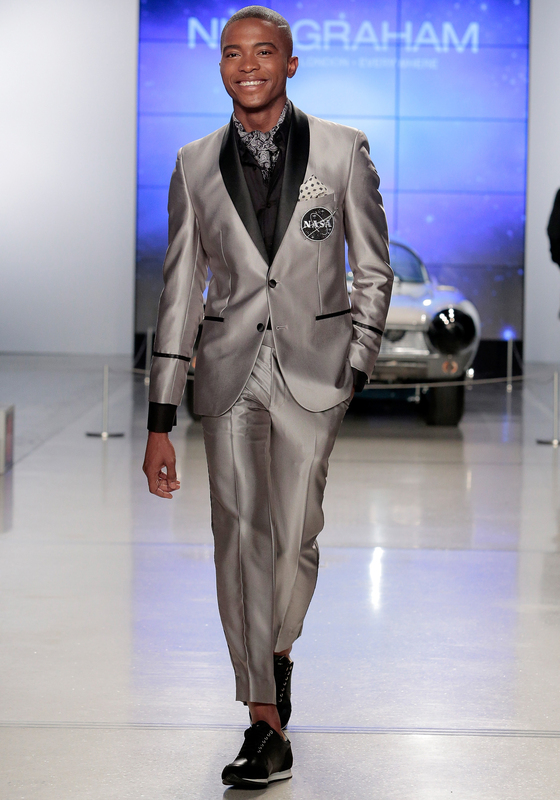 Morgan Evans wearing Florsheim shoes. 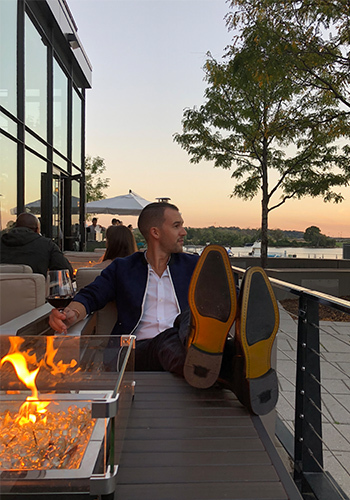 November 2018: Taylor, of the influencer duo Capital Couple, wearing the Belfast Boot on a night out in Washington, DC with his fiancé Taylor. 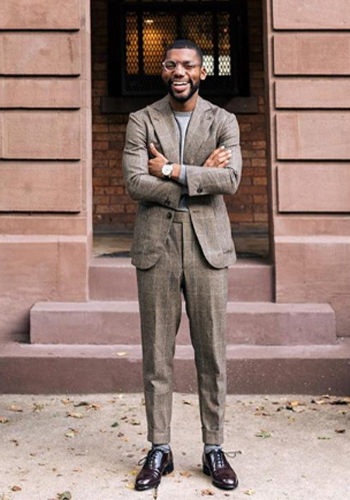 October 2018: Social media aficionado, Brandon Bryant, looking dapper in NY with the Florsheim Heads Up Moc Toe Penny Loafer. 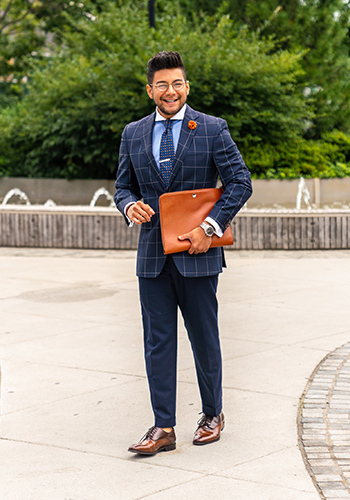 October 2018: Menswear aficionado Diego León looking workday ready in the Belfast Medallion Toe Oxford in NY, NY. October 2018: Brandon Bryant, the social media influencer behind @wallstreetpaper, takes on Harlem in the Florsheim Lexington Cap Toe Oxford. October 2018: Digital creator, Brandon Bryant, is sporting the Florsheim Kenmoor Wingtip Oxford for a casual, fall look. 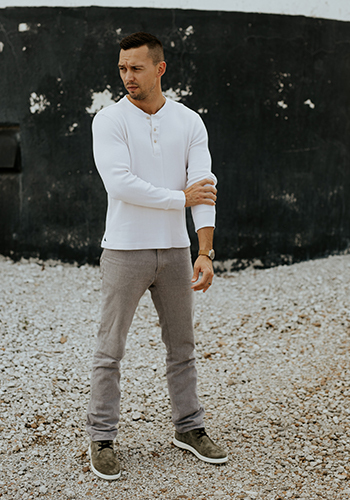 September 2018: Tyler Jensen, husband of travel and lifestyle photographer Triniti Jensen, wearing the Edge Plain Toe Chukka Boot in Nebraska. 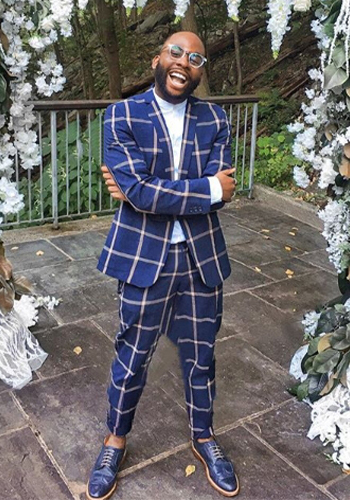 September 2018: Social media influencer, Mac Joseph, looking fresh in the Florsheim Heritage Wingtip Oxford at a wedding in New York. September 2018: Taking Newport Beach by storm, Drew Mellon is wearing the Midtown Wingtip Oxford, for a fun night out on the town with his girlfriend. 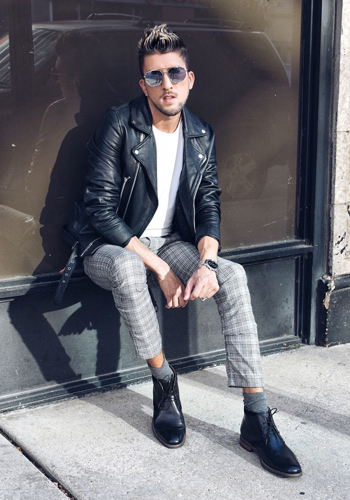 September 2018: Chicago based menswear and lifestyle blogger Thomas Trust was seen out and about rocking the Uptown Chukka Boot. 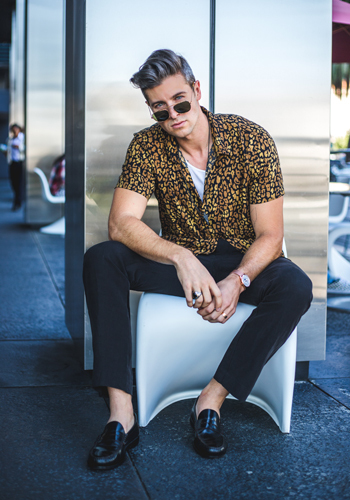 September 2018: Menswear blogger and style aficionado Parker York Smith, sporting the Berkley Penny Loafer in Hollywood. 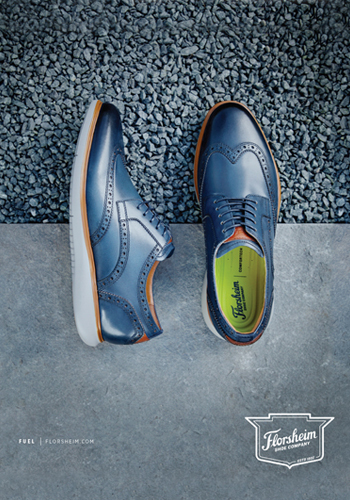 September 2018: The Florsheim Fuel Wingtip Oxford was featured in the September issue of Sports Illustrated magazine. July 2018: Lifestyle and fashion blogger Igee Okafor wearing the Florsheim Fusion during fashion designer Nick Graham’s New York Fashion Week show. 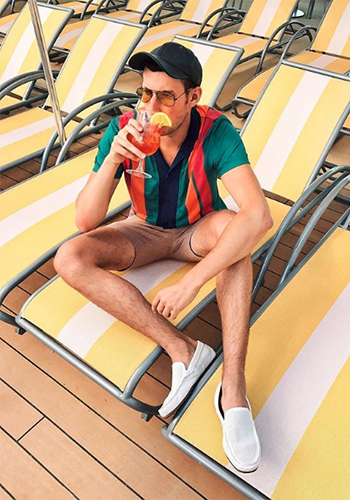 May 2018: Menswear, food, and travel blogger Caleb Thill, wearing the Oval Perforated Moc Toe Driver while on vacation. 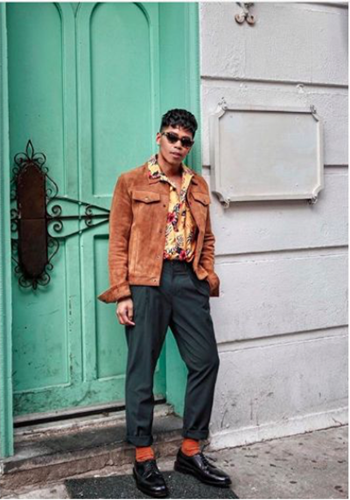 April 2018: Travel and men’s style blogger Anthony Urbano wearing the Kenmoor Wingtip Oxford while dining on the Upper East Side. 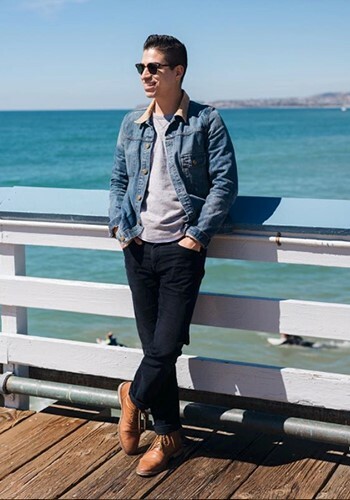 March 2018: Menswear blogger Gio Serna seen wearing the Indie Cap Boot at the San Clemente Pier. 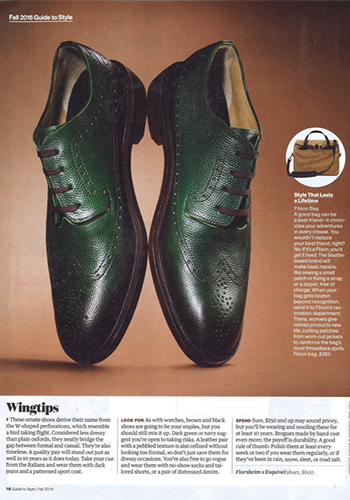 March 2018: The Heritage Wingtip Oxford from the Florsheim Limited Line featured in OUT magazine’s “Foregoing Trends” article. 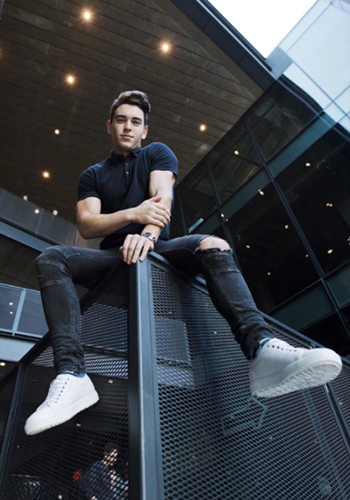 January 2018: The Forward Plain Toe Lace Up Sneaker featured on Dane Johnson for a Bonne New York article, “Dane Johnson: The Model Who Overcame Crohn’s Disease”. 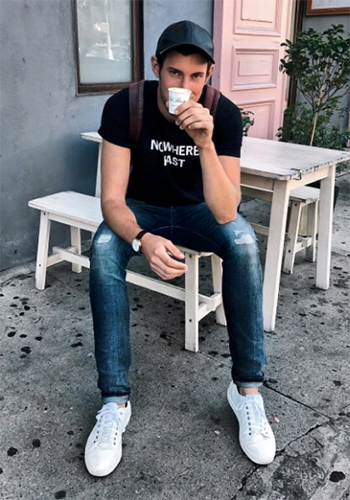 January 2018: Menswear, food, and travel blogger Caleb Thill, wearing the Forward Plain Toe Lace Up Sneaker. 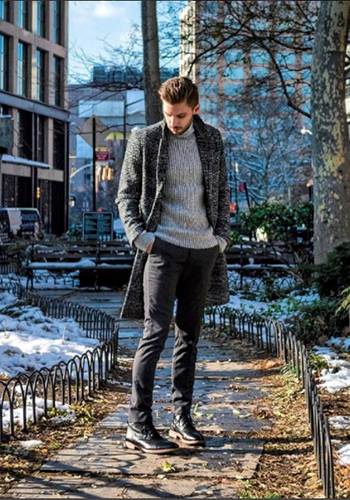 November 2017: Menswear and travel blogger Aaron Wester, rocking the Florsheim Forward Lo Lace Up on a stroll through SoHo. 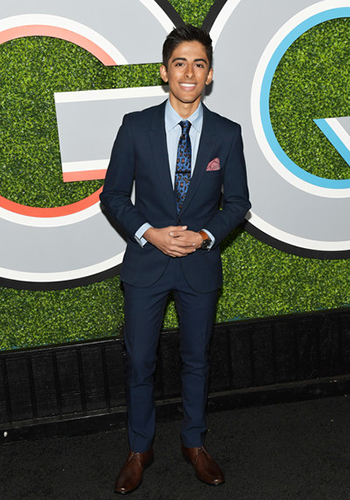 December 2017: Actor Karan Brar wearing the Florsheim Blaze Medallion Toe Chukka Boot to the GQ Man of the Year party. 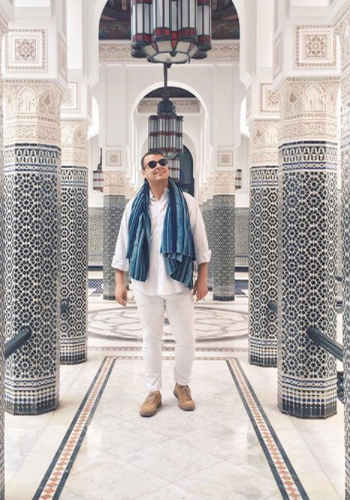 December 2017: Zachary Weiss, world traveler and social media influencer, is seen in Morocco wearing Florsheim. November 2017: Menswear and style influencer, Gio Serna, elegantly styled the Florsheim Blaze Cap Toe Oxford for him and his groomsmen at his 2017 summer wedding. 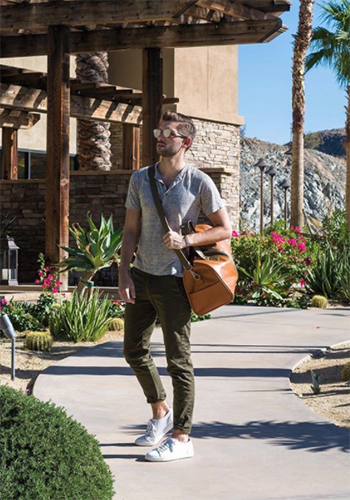 November 2017: Menswear and travel blogger Aaron Wester, looking effortlessly stylish in the Florsheim Forward Lo Lace Up on a recent trip to Palm Springs. 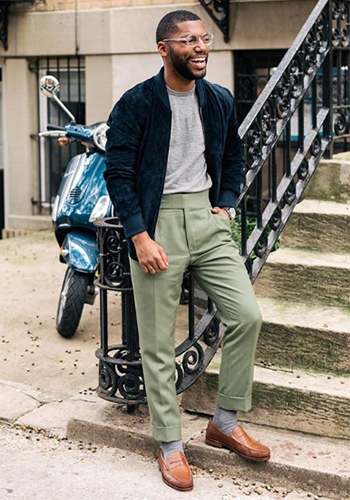 November 2017: Menswear blogger, Ryan M Kolton, looking fresh in the Florsheim Forward Lo Lace Up in Dumbo, NY. 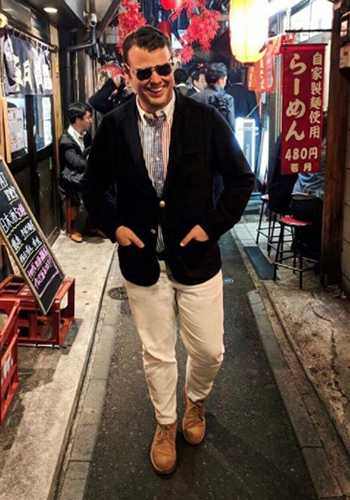 November 2017: Lifestyle influencer Zachary Weiss is strolling through the streets of Tokyo in a pair of Florsheim shoes. November 2017: Actor Neil Patrick Harris wearing the Florsheim Curtis Cap Toe Oxford on the cover of the November issue of Modern Luxury. 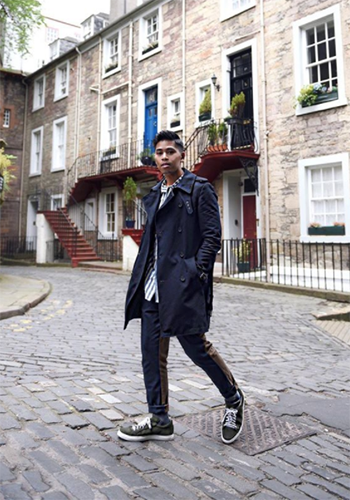 August 2017: Menswear blogger Anthony Urbano, wearing the Florsheim Storm sneaker while on vacation in Edinburgh, Scotland. August 2017: YouTube stars Rhett and Link were seen wearing Florsheim on a recent episode of The Tonight Show Starring Jimmy Fallon! 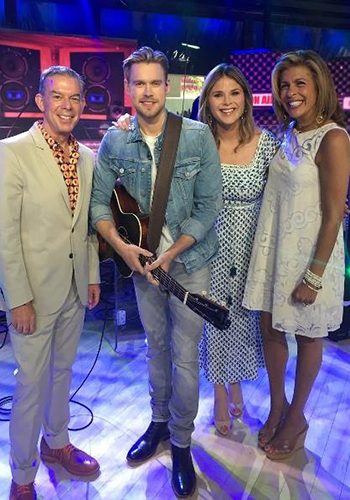 June 2017: Actor Chord Overstreet, who played Sam on the hit TV show Glee, wearing Florsheim at his performance on The Today Show. 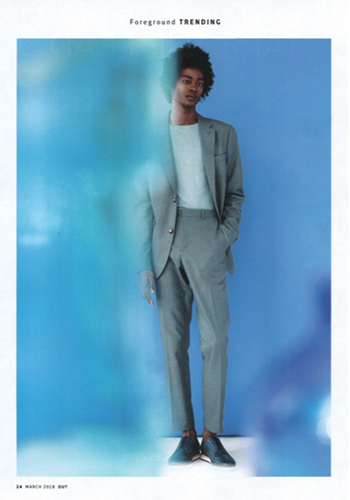 May 2017: The Florsheim Forward Lo Lace Up featured in a fashion editorial for the April issue of Men’s Health Serbia. 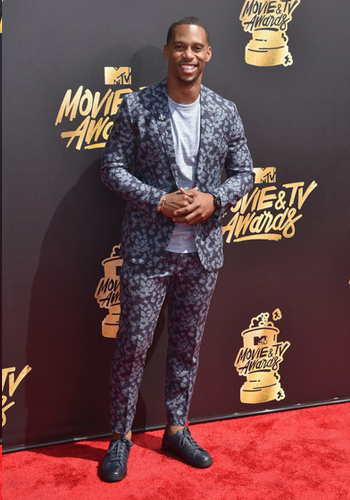 May 2017: Former New York Giants Wide Receiver, Victor Cruz, wearing Florsheim to the MTV Movie and TV Awards. 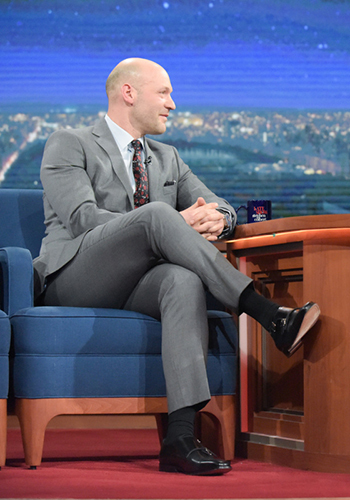 January 2017: Actor Corey Stoll wearing the Florsheim Classico Monk for his appearance on The Late Show with Stephen Colbert. 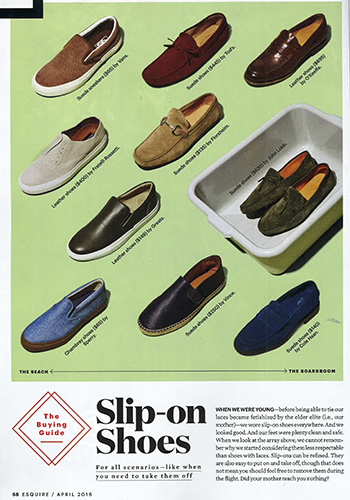 September 2016: The Florsheim x Esquivel collaboration is featured in the Men’s Health “Fall 2016 Guide to Style” article.